Interested in discovering critical tips for creating a successful LNC business? 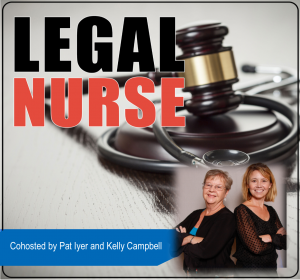 In this podcast I share 6 critical tips for your legal nurse consulting business and a simple formula to create a successful LNC business. CSI may mean Crime Scene Investigation to you, but to me it stands for principles of customer care – principles that help you grow your legal nurse consulting business. Think Community, Simplicity and Integrity. This book is for you if you are in the early stages of your business, or want to move to a higher level of success. Author Pat Iyer shows you how to set SMART goals to which you can hold yourself accountable and how to track and measure your results. Pat Iyer MSN RN LNCC built a successful legal nurse consulting business. Want to know how? She developed systems to manage the details and processes of her business, and shares these tips with you in this podcast.